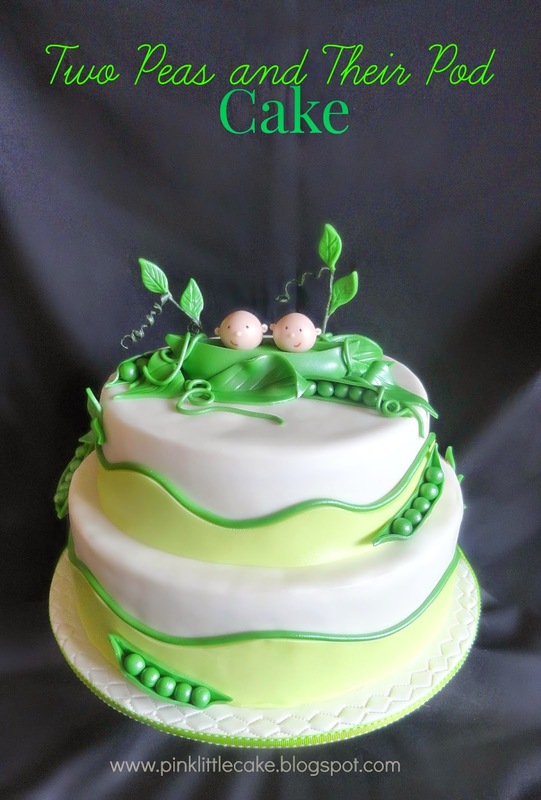 I made this two peas in a pod theme cake for a good friend of mine that is having twins. For the top of the cake, I made a green peapod with 2 baby boy heads popping out. Leaves and a few peas in a pod fills the remaining decorations. Both cake tiers were chocolate cake with oreos and cream buttercream.